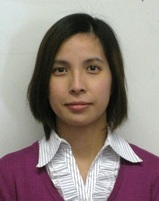 Victrine Tseung is a doctoral candidate in the Rehabilitation Sciences Institute at the University of Toronto. Victrine’s research is focused on understanding the organizational and systemic factors that influence the implementation of family caregiver education and support programs in the Ontario Stroke System. She hopes that this research will inform strategies that the health care system can use to implement caregiver support programs, thus ensuring that family caregivers consistently receive the support they need. Victrine completed her undergraduate degree at the University of Toronto, majoring in psychology and sociology. She then went on to complete a master’s degree in Occupational Therapy. She is a recipient of a Knowledge Translation Canada Student Fellowship, and her doctoral research has been presented at local, national and international conferences. Victrine enjoys yoga, swimming, reading, and playing the piano and cello. Kita, M., Grigorovich, A., Tseung, V., Milosevic, E., Hebert, D., Phan, S., & Jones, J. Qualitative Meta-Synthesis of Survivors' Work Experiences and the Development of Strategies to Facilitate Return to Work. Journal of Cancer Survivorship: Research and Practice, 2014. Jul 4. [Epub ahead of print]. Tseung, V., Jaglal, S., Salbach, N., & Cameron, JI. (2014). Health Care Professionals’ Perspectives on Implementing Family Caregiver Education and Support Programs into the Ontario Stroke System. Stroke, 45: Suppl 1. Tseung, V., Jaglal, S., Salbach, N., & Cameron, J. (2012). What’s it going to take to implement caregiver education and support programs in Ontario: a key informant study. Stroke, 43:e115-e162.